Herbal Aloe Concentrate Mandarin Flavour supports digestion. Mix 3 capfuls (15ml) in 120ml of water and enjoy one to two times per day. Use in addition to your everyday diet. 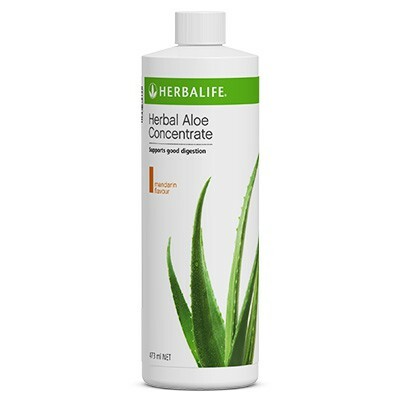 To prepare 1 litre ready for consumption, mix 120ml of Herbal Aloe Concentrate in a 1 litre container and fill with water.